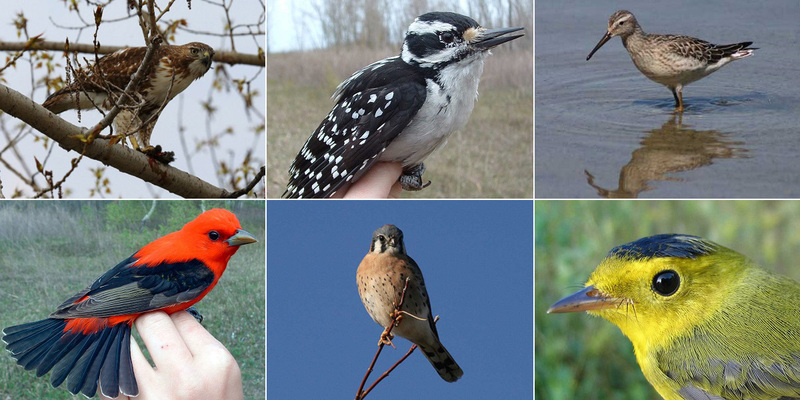 Tommy Thompson Park is an amazing spot for bird watching: 316 species of birds have been recorded at TTP, including at least 55 breeding species. The park is an important stopover during migration for many bird species that need to rest and refuel to continue their journey. In addition to many species of songbirds, TTP also plays host to migrating raptors, waterfowl and shorebirds. The globally significant numbers of nesting colonial waterbirds. The nationally significant numbers of waterfowl during migration and over winter. The large concentrations of songbirds during migration. 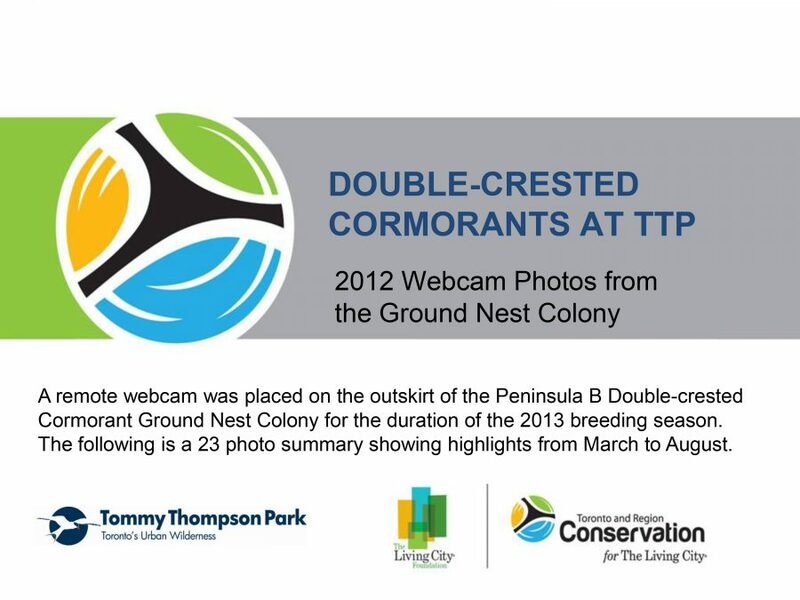 The Tommy Thompson Park Bird Research Station (TTPBRS) is dedicated to the understanding and protection of birds and their habitats through monitoring, education and research. Around the Cell One Wetland, a bank was constructed to target nesting bank swallows and was an immediate success — swallows were observed digging nests within days of its completion. Small bird boxes throughout the site are intended for use by tree swallows and eastern bluebirds. American kestrel, owl and waterfowl boxes for cavity nesters have been installed in various locations throughout the park. 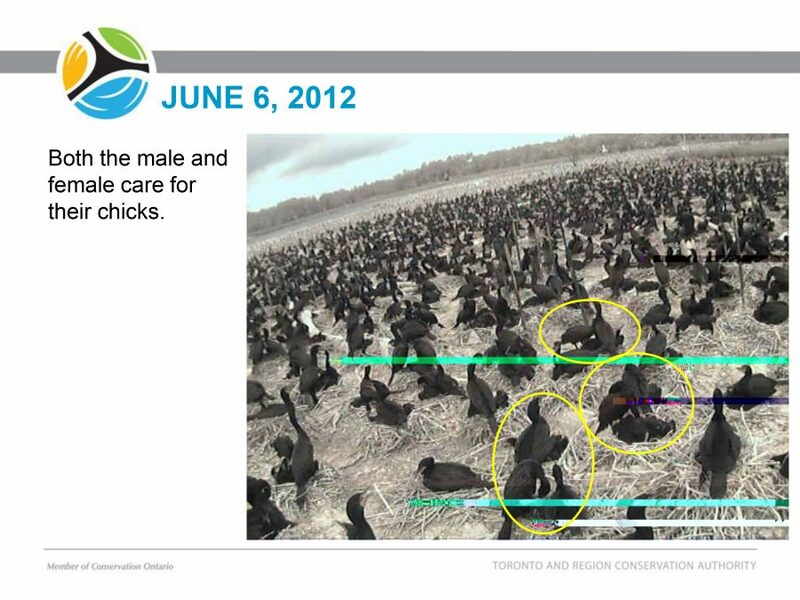 Duck platforms or tubes have been situated in strategic locations around the Cell One Wetland to encourage marsh-nesting waterfowl. Habitat brush piles throughout the park create micro-climates and are used by various bird species for nesting and foraging. Snags installed in various locations provide perching spots for raptors, and have also hosted nesting northern flickers. One of the most successful projects was the introduction of Common Tern reef rafts. While these are still in use in Cell Two and Embayment D, we have created an island in Cell One to accommodate breeding terns. 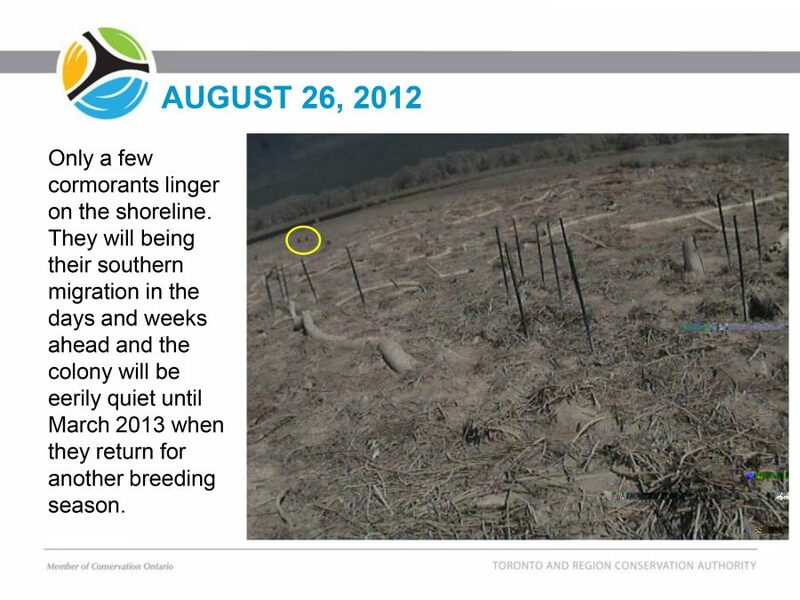 This proved an immediate success, as terns colonized the island within first year after completion. Our efforts to support the breeding of Caspian terns have met with mixed results: record productivity in some years, disappointment in others. 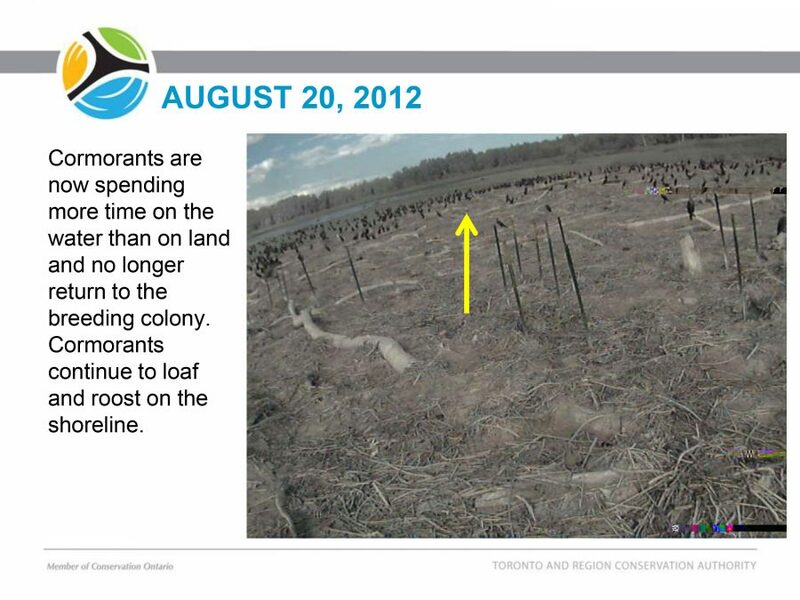 We will continue to enhance Caspian tern habitat and monitor breeding to help ensure the success of this species at TTP. The most recent endeavor to target birds is the Shorebird Habitat Creation project. Shorebirds in this region face a number of threats, including habitat loss. Our new Shorebird Habitat Creation project in the Toplands area will provide critical foraging and loafing habitat for both resident and migrating shorebirds. Shallow ponds with open mudflats will have water depth managed to maximize the production and diversity of invertebrates. Water depth can also be altered to benefit other species, especially post-migration. 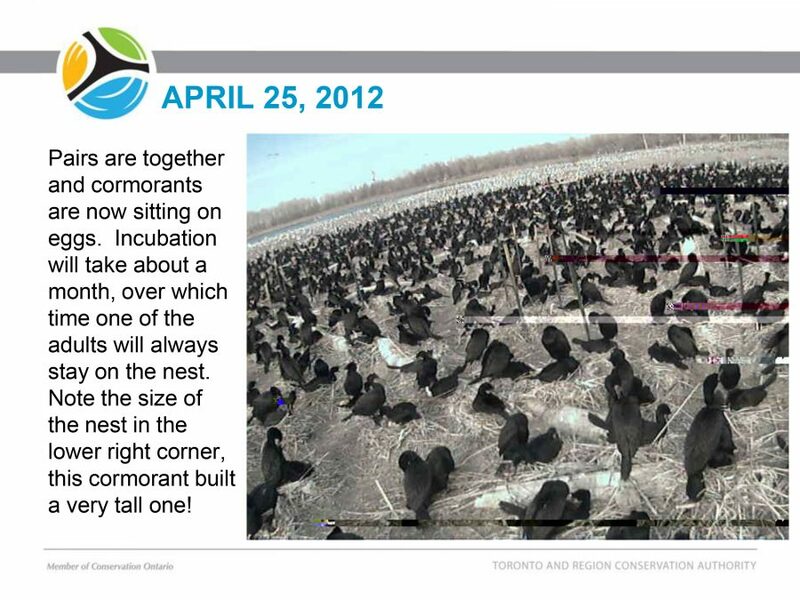 Future habitat enhancements may include nesting platforms for Black Terns; upland nesting opportunities for waterfowl, and encouragement of Trumpeter Swan nesting through control of the introduced Mute Swan. 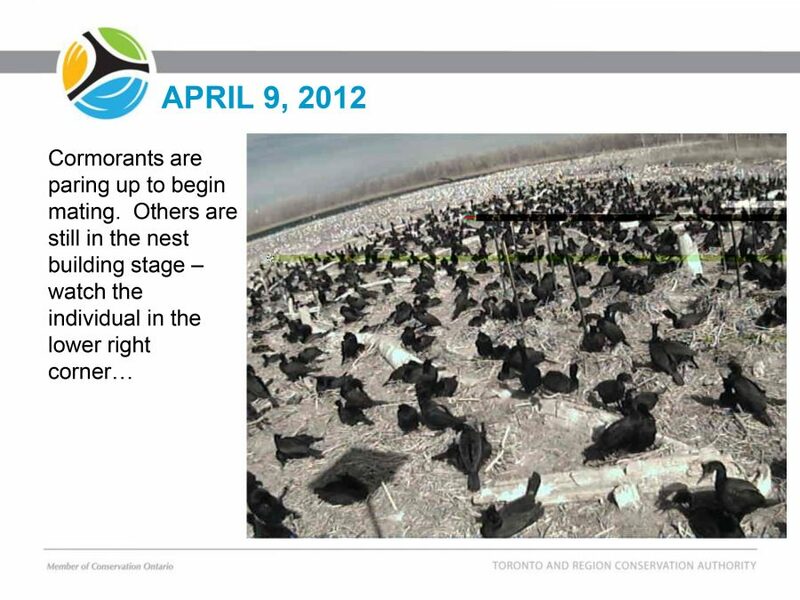 Tommy Thompson Park hosts significant numbers of birds that nest in large groups or colonies. There are eight different species of colonial birds that nest or have nested at TTP. The Spit is home to one of the largest breeding Ring-billed Gull (Larus delawarensis) colonies in the world — at its peak, about 6% of the estimated global breeding population. HERRING GULLS (Larus argentatus) are frequent nesters among the ring-billed gulls, but have not nested in large numbers. BLACK-CROWNED NIGHT HERONS (Nycticorax nycticorax) nest at TTP — averaging, over the long term, approximately 17% of the estimated national breeding population. When their numbers peaked in 2000, the night herons represented nearly one-third of the estimated Canadian breeding population. 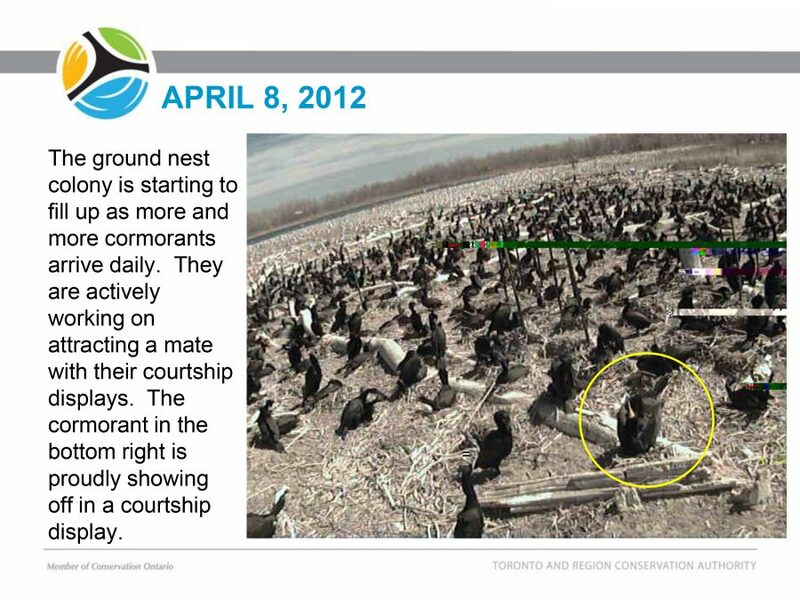 DOUBLE-CRESTED CORMORANTS (Phalocrocorax auritus) began nesting at TTP in 1990 and have since become a common sight throughout Toronto Harbour. 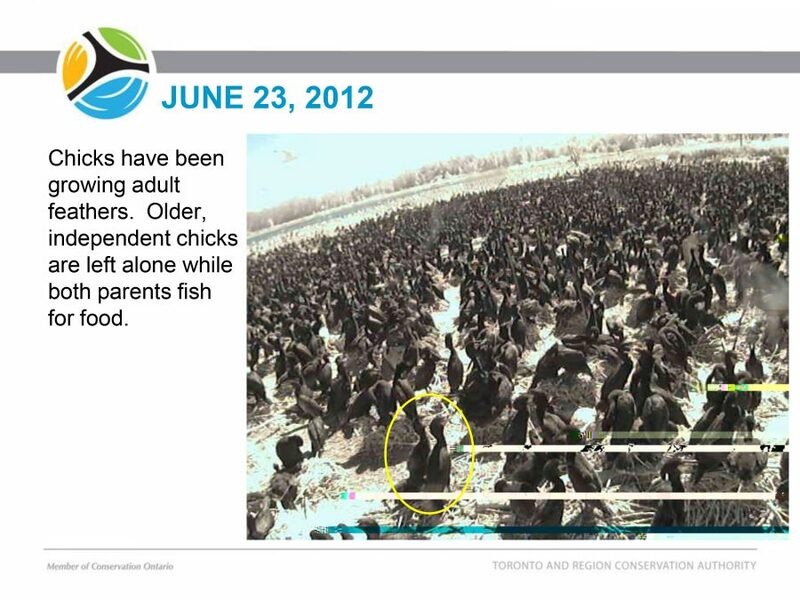 The TTP cormorant colony is the largest in North America, numbering 13,275 nesting pairs in 2016. There are an average of 8 GREAT EGRET (Ardea alba) nests mixed in with cormorants and night-herons. 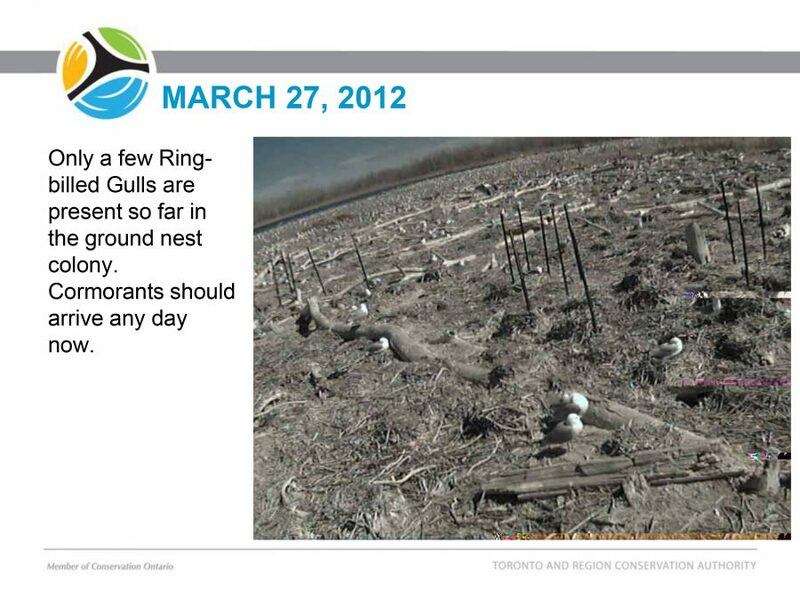 Since 1976, COMMON TERNS (Sterna hirundo) have nested in significant numbers on artificial breeding platforms, or “reef rafts,” and are now also nesting on an island we created in Cell One (see above). 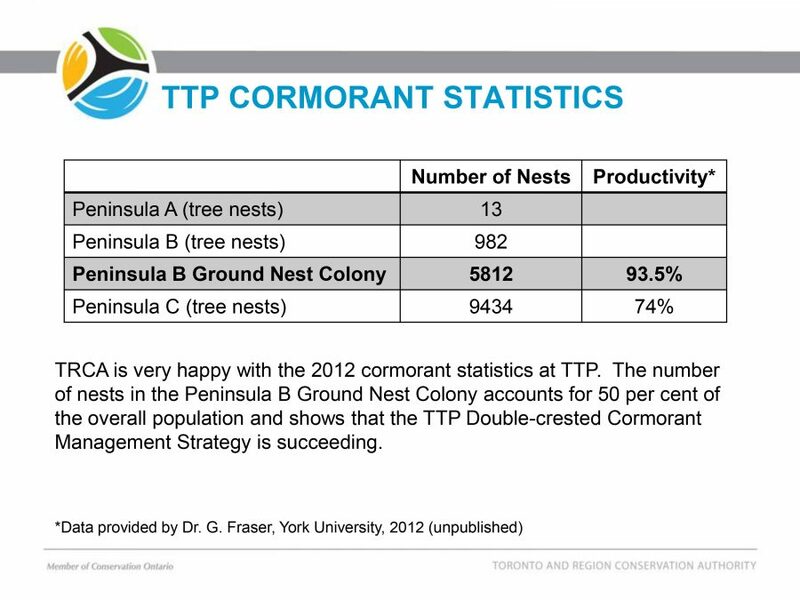 At its peak, the common tern breeding population at TTP represented 1.8% of the estimated North American population. 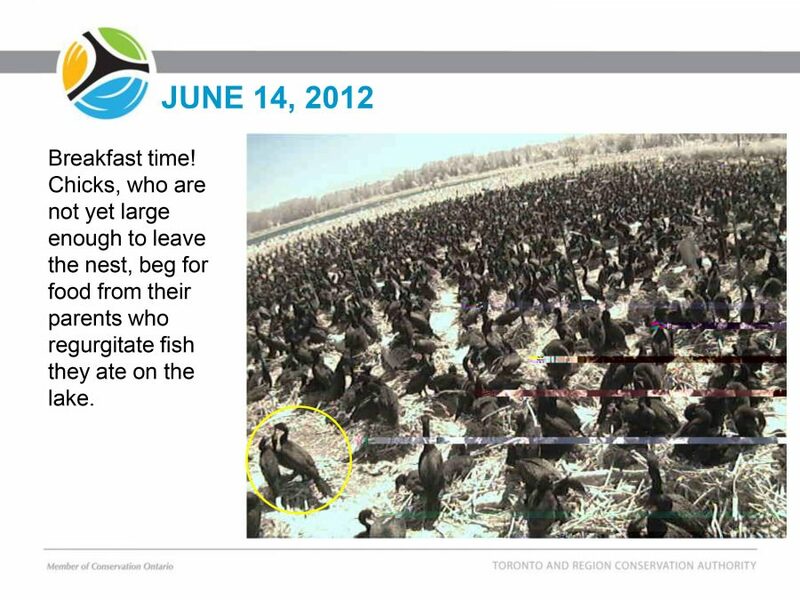 Toronto and Region Conservation conducts annual counts of double-crested cormorants and black-crowned night herons to track changes in populations and nesting areas. 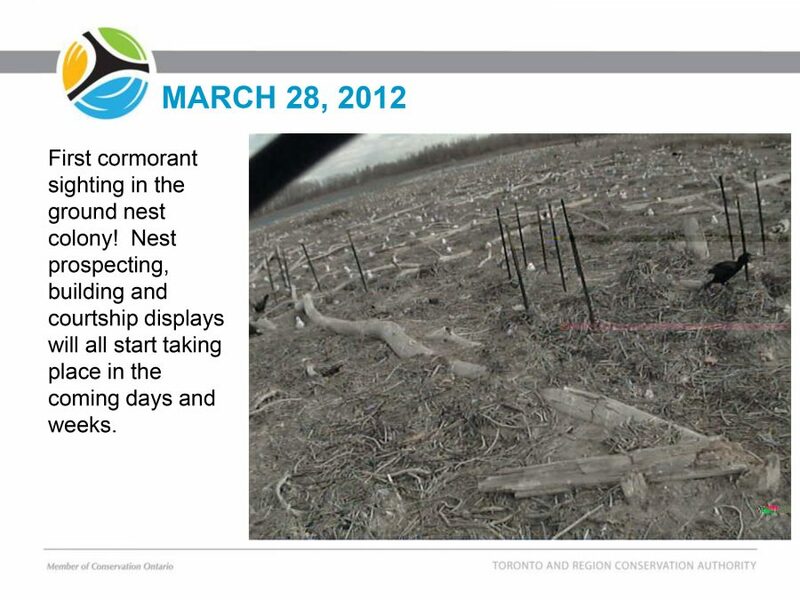 Upon completion of nesting the forests are also monitored to measure any impacts the birds have upon the health of trees. Ring-billed gull management is an ongoing effort. 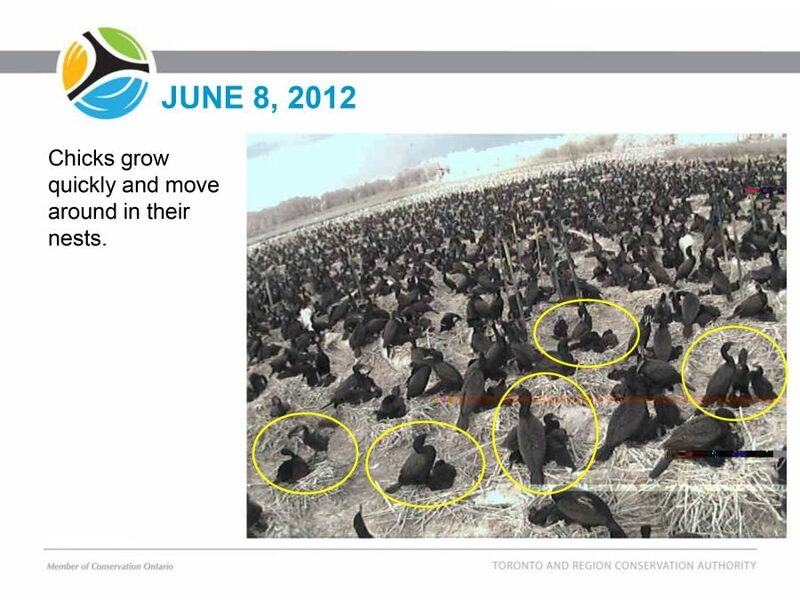 Since the 1970s, TRCA has used various techniques to manage the population. Without such efforts, it has been estimated that the gull population at TTP would now total approximately 180,000 pairs. 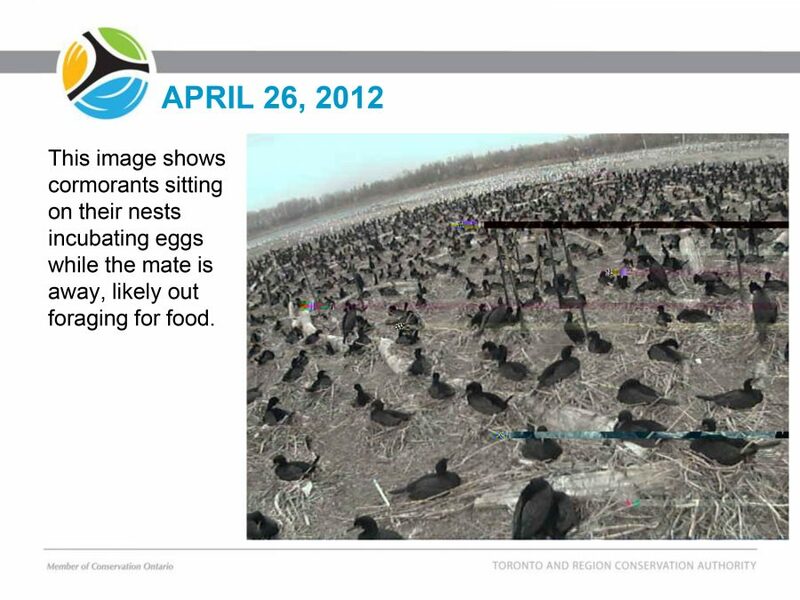 We also monitor common tern and Caspian tern populations by counting nests and noting any obvious areas of stress. TRCA works in cooperation with the Canadian Wildlife Service (CWS) to count ring-billed gulls and herring gulls every five years. 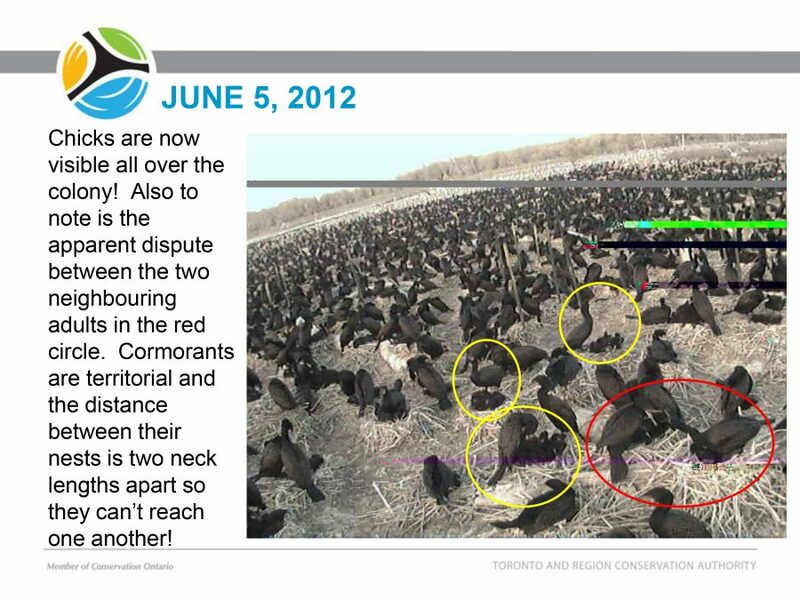 TRCA also partners with the CWS on long-term contaminant monitoring, as well as other colonial waterbird studies. 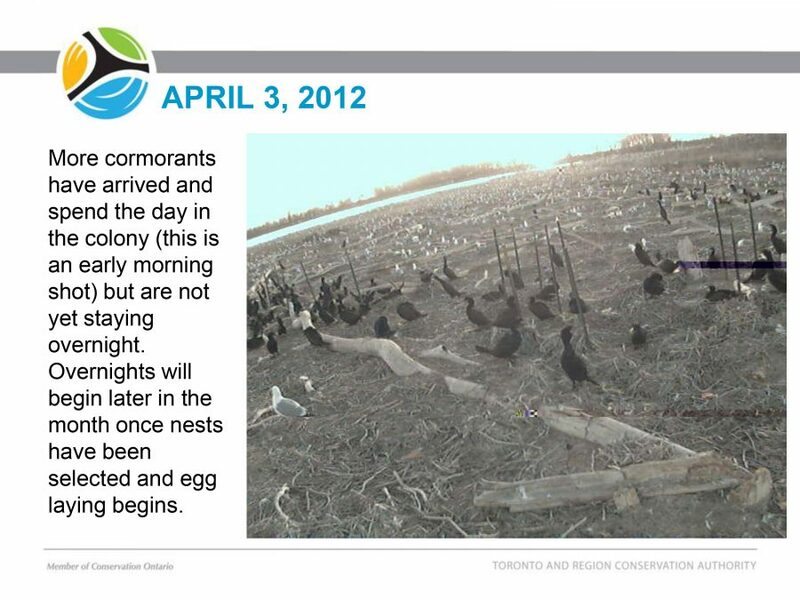 Many other organizations conduct research at Tommy Thompson Park as well, often focusing on colonial waterbirds. 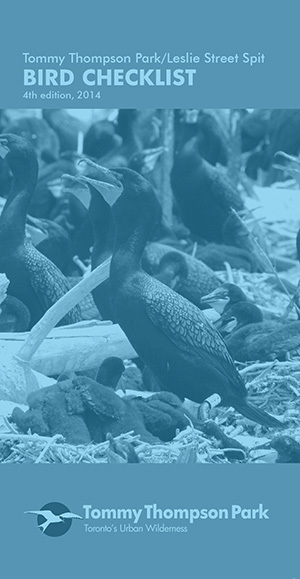 Recent projects have included dietary studies of double-crested cormorants and an investigation of the interactions between double-crested cormorants and black-crowned night herons. 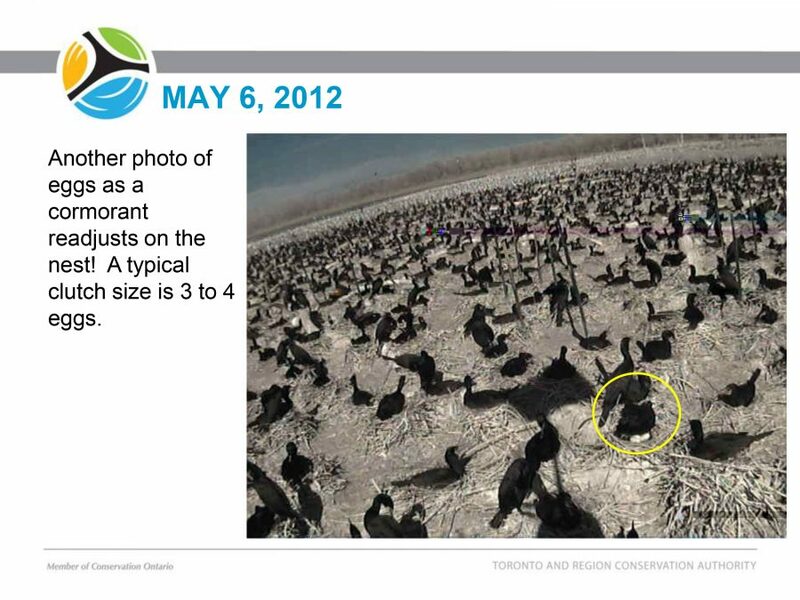 In 2007, Toronto and Region Conservation embarked on a process to investigate the need for cormorant management at TTP. 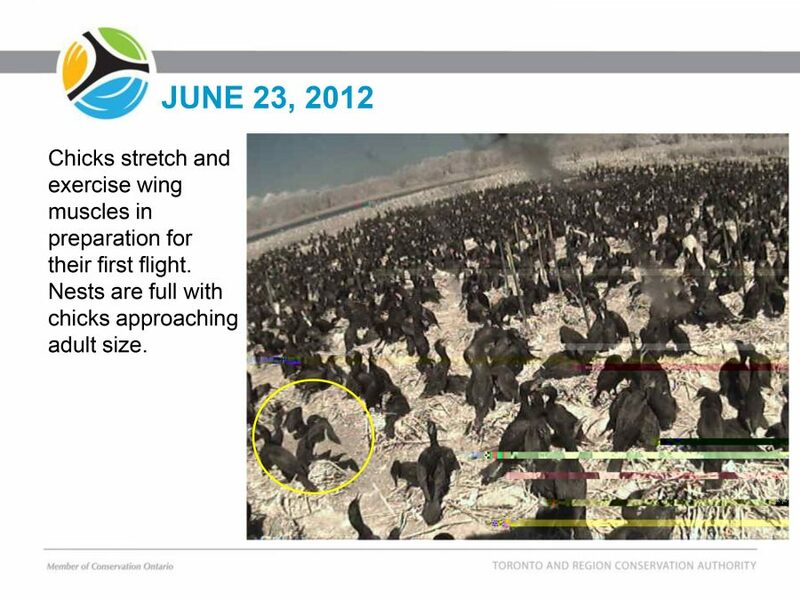 TRCA established an advisory group of stakeholders and experts to review the status of the TTP cormorant colony and provide recommendations on possible management approaches. 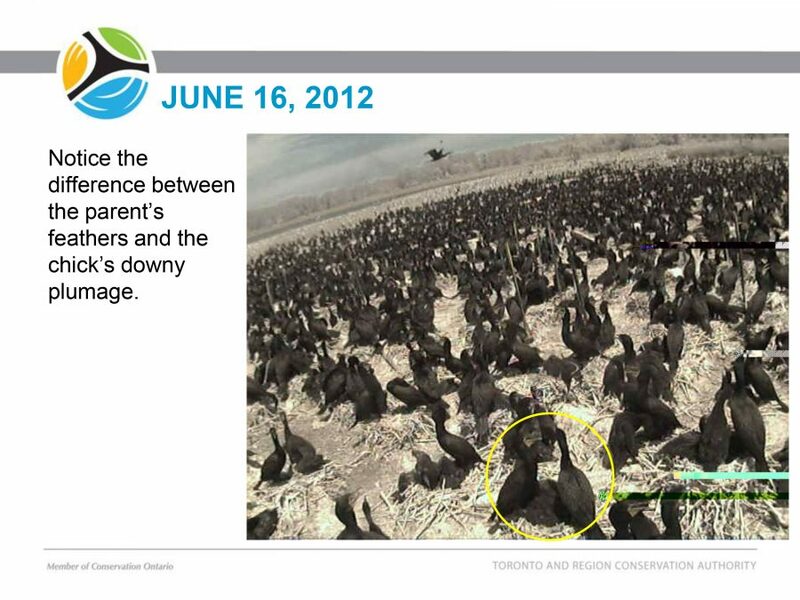 TRCA also conducted direct public consultation. 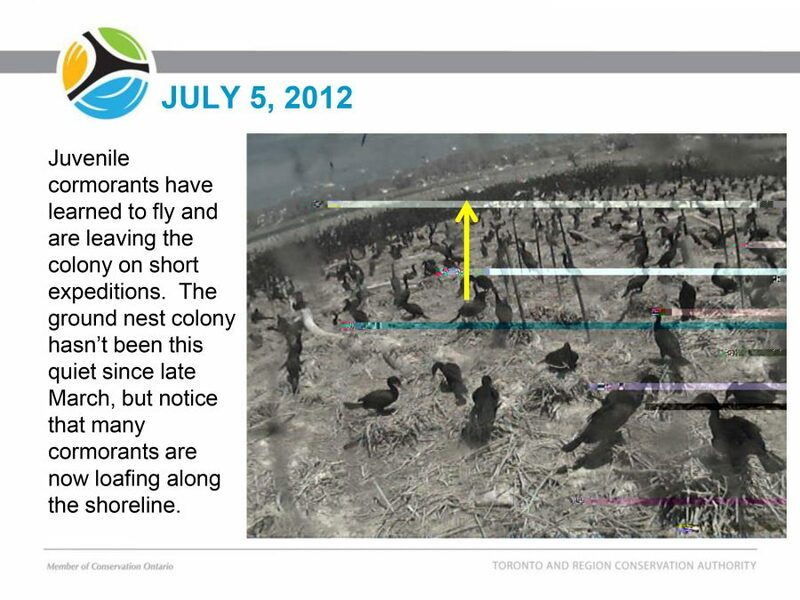 The goal of management strategy is to achieve a balance between the continued existence of a healthy, thriving cormorant colony and the other ecological, educational, scientific and recreational values of Tommy Thompson Park. 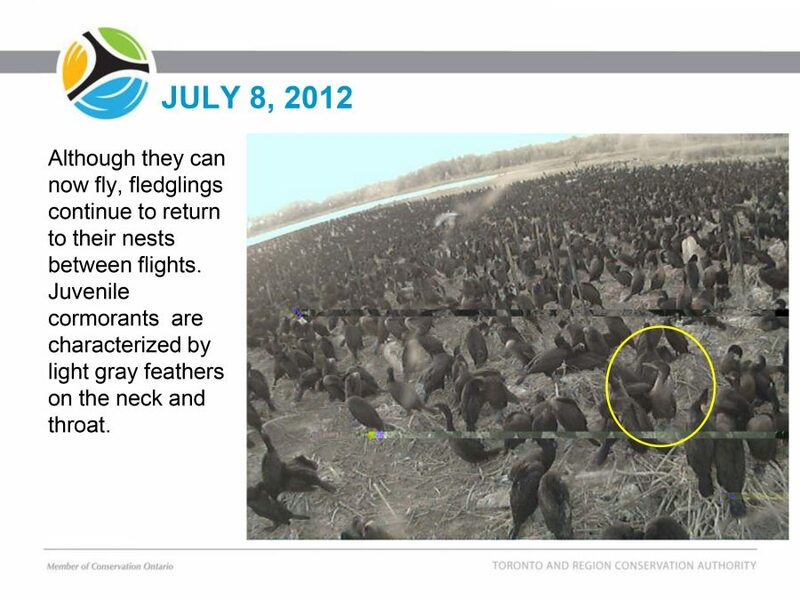 Management techniques include ground nest enhancements, deterrence and site restoration. 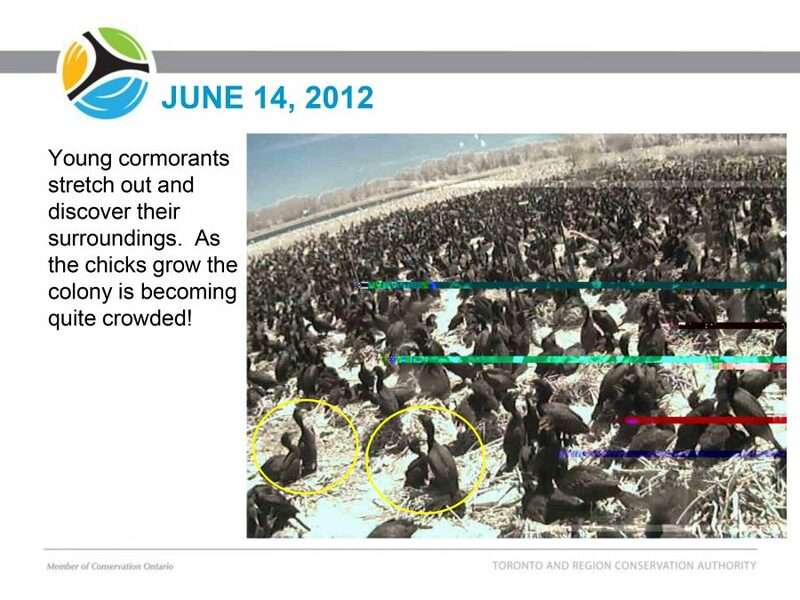 It is a spatial management strategy that encourages ground-nesting while discouraging nesting in healthy trees. 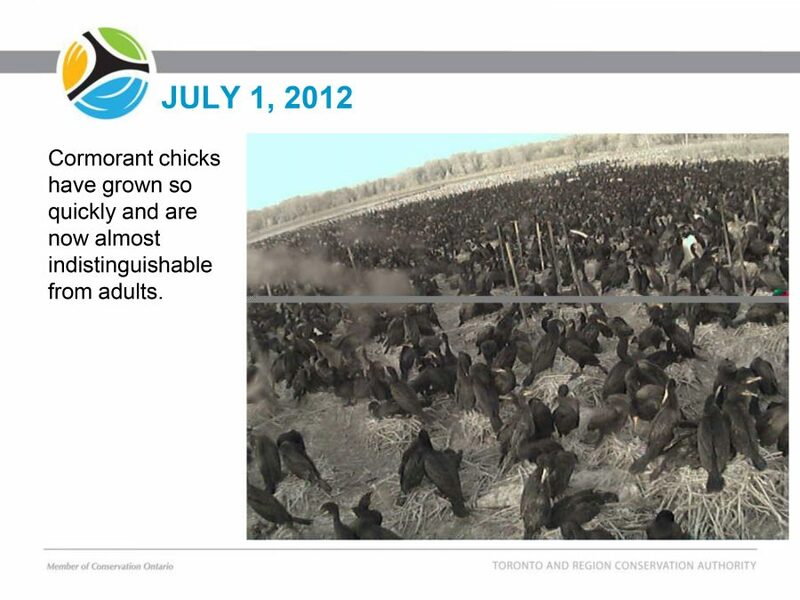 Management does not include lethal culling or egg oiling. 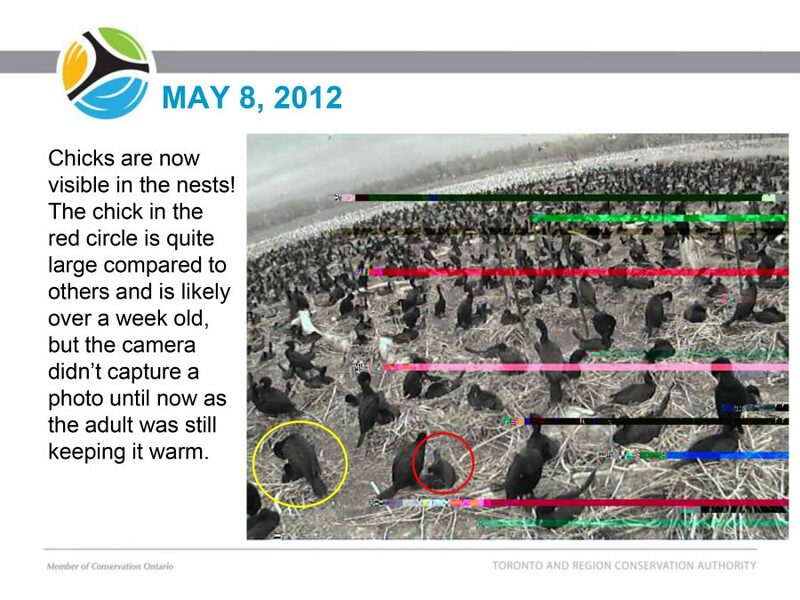 In 2012, a remote webcam was placed on the outskirts of the Peninsula B ground nest colony for the duration of the breeding season. The images provide a glimpse into how the colony works! 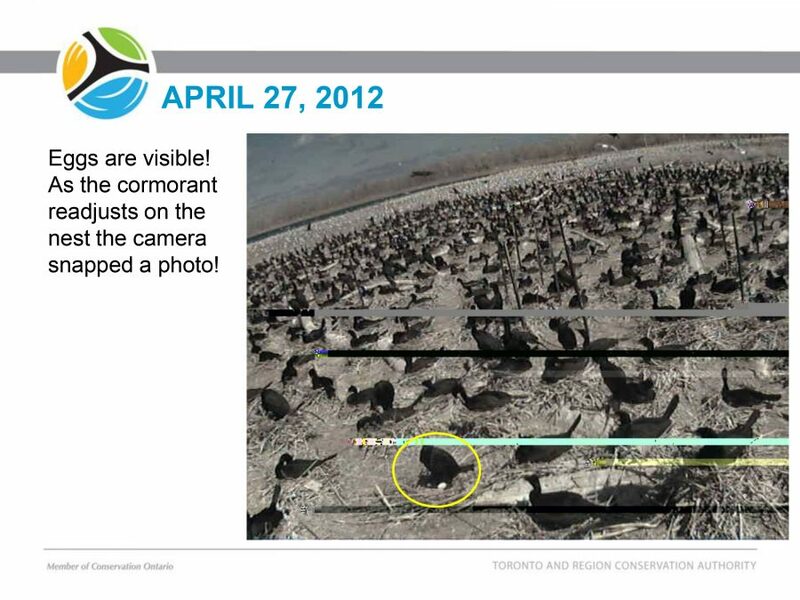 Nest counts have been conducted since 2014, using aerial photography. In total, 7,799 nests were counted in 2014, and 7,608 in 2015.